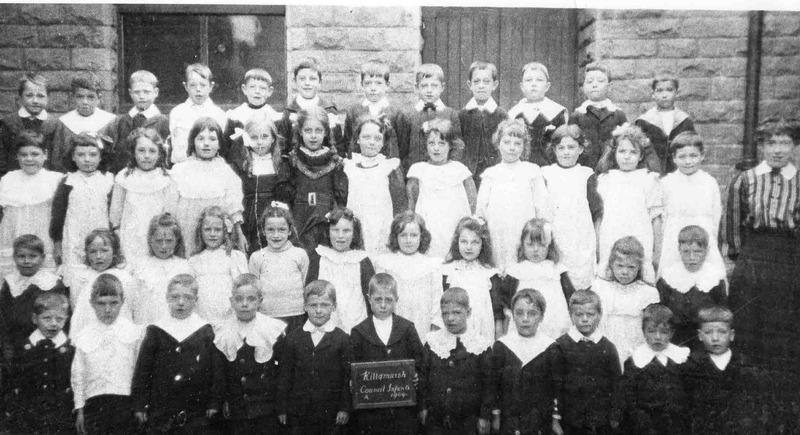 Killamarsh Council Infants School 1909. See note below. Photo courtesy of Mr. V. Hopkinson. Killamarsh Council Infant School 1909. May Whitely, 3rd row in dark dress 6th from left. 2nd row 5th from left Mary Nichols, 6th Maud Draper. Teacher Miss Groves.